If you’re a fan of the “mumblecore” then A) we’ll just call you “Mumble Cory” and B) a film you might have missed in its limited run is now on DVD, and we’ll pair it with one of the best of the mumblecore genre. The Comedy is a character study about a character you will instantly hate. Swanson (terrifically played by Tim & Eric’s Tim Heidecker) is a trust-fund brat who spends his days drinking, boating, and embracing every chance to be offensive. Make it past the halfway point, and the ironically-titled film becomes strangely hypnotic. 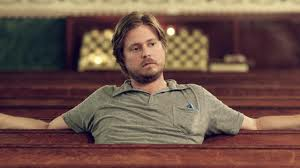 Director/co-writer Rick Alverson is after a sort of subversive honesty, perhaps even grasping for answers to the types of questions raised whenever another white male goes on a shooting spree. Hanging out with a guy like Swanson for 90 minutes isn’t easy, but you might be glad you made the effort. If you’re looking for something slightly more accessible, Cyrus (2010) might the film for you. Still clearly a mumblecore flick (written and directed by the auteurs of the style, Mark and Jay Duplass), the film still follows a relatively well-established story arc and stars actors who actually act. John C. Reilly wants to date Marisa Tomei (who doesn’t? ), but her relationship with her adult son (Jonah Hill, in a triumphant performance) is beyond complicated. One profoundly uncomfortable comedy follows.